According to the Pollfish Valentine's Day National Survey — a survey of 1,000 American consumers by Pollfish [www.pollfish.com], the world's leading self-service mobile survey and market research platform — men are 1.6x as likely as women to buy expensive gifts for Valentine's Day. The majority of national chain restaurants received a negative NPS, indicating that most Americans might prefer to dine out at an independent restaurant for Valentine's Day. August 17-23, at ElliottWave.com. Cost -- free. Join a 5-day event for traders seeking to improve, "The 4 'Best' Elliott Waves to Trade -- and How to Trade Them." Five days, lots of practical video lessons that you can start applying immediately -- from one of the world's foremost market technicians, Elliott Wave International's Jeffrey Kennedy. Register now, FREE -- and get instant access. You have a free, knowledge-packed opportunity to learn how to spot high-confidence trade setups in market charts you follow every day. The event's host is EWI Senior Instructor and Chartered Market Technician, Jeffrey Kennedy. He is also the editor of EWI's popular Trader's Classroom -- an ongoing mentorship service for traders looking to improve their trading. Over his 25-year career as an analyst, trader and instructor, Kennedy has taught literally thousands of traders through his online courses, live events, subscription services -- and as an adjunct professor of technical analysis at Georgia Institute of Technology. To kick off this event, at 11 a.m. on August 17, Jeffrey will host a free, LIVE webinar to explain which Elliott waves offer the best trading opportunities. Register now for this free special 5-day event and live webinar -- and get instant access to your first trading lesson. Then, watch your inbox for access instructions for the August 17 live webinar -- and for the new trading lessons delivered to you every day during this event. It's time to learn how to spot and act on high-confidence trade setups in your own charts! Register now, free -- and instantly get your first trading lesson. Jim Martens, the editor of our Currency Pro Service, gives you a preview of what's going on in the FX world post-Brexit. Watch this new interview to learn which markets Jim's keeping his eye on. P.S. Below the video, look for details on instant, free access to Currency Pro Service forecasts now through July 22, as part of EWI's Forex Free Week. Alexandra Lienhard: I'm Alexandra Lienhard for ElliottWaveTV and today I'll be talking with Jim Martens, Elliott Wave International's Senior Currency Strategist. But a brief editor's note before Jim joins me: Elliott Wave International is currently hosting its popular Forex FreeWeek. Be sure to check out the link below to get free forecasts for 11 popular FX pairs, now through July 22. Now Jim, onto today's interview. We're living in a post-Brexit world. In your view, did forex markets change since the vote, or did Brexit not really have an effect on FX overall? Jim Martens: Well, from my point of view, it made no difference, overall. We've spoken about this in the past: We expected the recovery in cable from May to prove corrective -- and it did. Markets started back down right after the result of the vote were announced. It was a sharp, almost historic decline. There was a lot of chatter about. But it was something that we were expecting all along. In our minds, it made no difference at all. The market was headed where the market was headed. Regardless of what news came out in the marketplace. Alexandra: And in recent analysis, you've been stressing the British pound, the yen and the euro. Anything standout for you in those specific markets? Or as a group? Jim: Well, they're all at interesting positions. I believe the dollar is resuming a broad-based advance relative to all its competitors. We look at cable, for instance, to start with. We'll see that it's gone nowhere in the last few weeks or so. We had that historic move after the vote and it's held its ground since, but I think that's just a pause in a larger downtrend. So again, it's no change in our thinking there. And when I look at something say, like euro/dollar, which is popular amongst traders, we look at the same sort of thing. It's been going nowhere, there's been a lot of volatility, which really stretches back more than a year now. We've been tracking it and calling the ups and downs of the market, but I think that's coming to an end, and there's going to be a substantial move ahead. It could be underway, and if it's not already, it's soon to start from nearby levels. The markets are getting quite exciting from this point on. Alexandra: So let's broaden out. Looking bigger-picture, what are you watching? What are you keeping your eye on in the months and quarters ahead? Jim: Well, one market where our view has changed has been dollar/yen. We've been looking for a bottom, yet the market has continued to decline. We failed to see evidence that the turn had occurred, and I like to wait before I change my view, or change my opinion of the market trend, until I see evidence that a change has occurred. But we may have finally seen that in the last few weeks. It has rallied sharply, so I put that back in the camp of dollar strength. If dollar/yen is advancing, that's dollar strengthening, that's the yen weakening. So it's falling into place in the rest of the picture, as I see it. And that is that the dollar is going to be strong going forward. That's going to be the story. You're bound to hear about that over the coming months. We'll hear about it on the equities side, that it's pressuring corporate earnings, and what are we going to do about that. But it's going to be a broad-based move relative to all of its competitors. Alexandra: Well, FX has always been one of the more volatile asset classes out there. Thanks for chatting today, Jim. Alexandra: Now through July 22, you can get free access to our premium grade Currency Pro Service during Forex FreeWeek. Follow the link below to get free forecasts for 11 popular FX pairs. Now through 5 p.m. Eastern time Friday, July 22, get FREE unrestricted, 24/7 access to intraday, daily, weekly and monthly forecasts -- including charts and videos from our premium-grade Currency Pro Service. Currency Pro Service's team of currency experts brings you forecasts for 11 popular FX pairs: EURUSD, USDJPY, GBPUSD, U.S. Dollar and more. This article was syndicated by Elliott Wave International and was originally published under the headline Forex: "The Markets Are Getting Exciting!". EWI is the world's largest market forecasting firm. Its staff of full-time analysts led by Chartered Market Technician Robert Prechter provides 24-hour-a-day market analysis to institutional and private investors around the world. 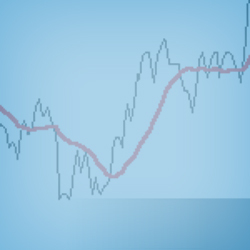 A head-and-shoulders pattern is one of the most well-known classic chart patterns. In this 4-minute video from Jeffrey Kennedy's Trader's Classroom, you'll see an example of a bearish head-and-shoulders formation and a bullish, inverted head-and-shoulders pattern in the chart of SPY, the ETF that tracks the S&P 500. You'll also learn how to calculate the minimum expected target for the pattern. In this free report, you will learn some of the most effective tools of the trade from analysts at Elliott Wave International. Find out which technical indicators are best for analyzing chart patterns, which are best for anticipating price action, even which are best for spotting high-confidence trade setups -- plus how they all complement Elliott wave analysis. This article was syndicated by Elliott Wave International and was originally published under the headline Learn to Recognize a Popular Old School Chart Pattern. EWI is the world's largest market forecasting firm. Its staff of full-time analysts led by Chartered Market Technician Robert Prechter provides 24-hour-a-day market analysis to institutional and private investors around the world. The Wave Principle is the only technical analysis tool that lets you know exactly where you're wrong, to the pip, tick, or penny. Our senior instructor Jeffrey Kennedy explains this important value -- among others -- of Elliott wave analysis. This article was syndicated by Elliott Wave International and was originally published under the headline (Interview) Pinpoint Where You're Wrong. EWI is the world's largest market forecasting firm. Its staff of full-time analysts led by Chartered Market Technician Robert Prechter provides 24-hour-a-day market analysis to institutional and private investors around the world.